Mulanje Cedar occurs naturally only on Mulanje Mountain in Malawi. It was declared as Malawi’s national tree in 1984. There are four species of the genus Widdringtonia, all found in Southern Africa. Despite the common name of Mulanje Cedar, Widdringtonia is actually part of the Cypress family (Cupressaceae). The suggested alternative common name of Mulanje Cypress is rarely used, and the species remains known as Mulanje Cedar by people living near Mulanje Mountain, as well as more widely across Malawi and elsewhere. Mulanje Cedar is a high value timber tree. It is durable, termite-proof and used for construction and wood carving. The Mulanje Cedar represents an important source of income for local communities, but it is currently being cut down at an unsustainable rate. It is estimated that cedar forest cover has declined by 37% in the last c.30 years, the main causes being over-exploitation and fire. The steep decline in populations has resulted in a loss of income for communities living around the mountain, increased soil erosion and floods due to rapid water run-off from the mountain during rainy seasons. The tree is now Critically Endangered and at risk of becoming extinct in its natural habitat if action is not taken soon. 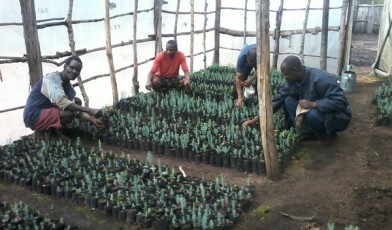 large scale ecological restoration of the cedar should be undertaken. The proposed five year logging moratorium will cut off a vital source of income to local villagers who have been harvesting and selling the timber for over 100 years. Previous attempts to restore cedar forests and to grow the species more widely have been limited by its poorly understood ecology, pathology and horticulture. 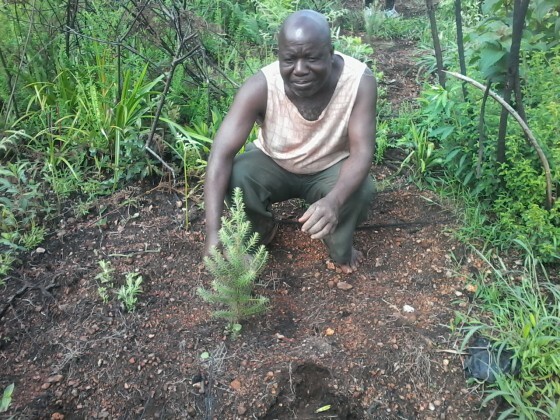 The Global Trees Campaign has launched a project to try to address these challenges and secure a future for the Mulanje Cedar in its natural habitat. Find out more about the project here. Bayliss, J., Makungwa, S., Hecht, J., Nangoma, D., & Bruessow, C. (2007) Saving the island in the sky: the plight of the Mount Mulanje cedar Widdringtonia whytei. Oryx 41 (1), 64–69. Chapman,J.D. (1995). The Mulanje Cedar. Malawi’s National Tree. The Society of Malawi, Blantyre, Malawi. Quercus georgiana was first discovered in 1849 at Stone mountain, Georgia.